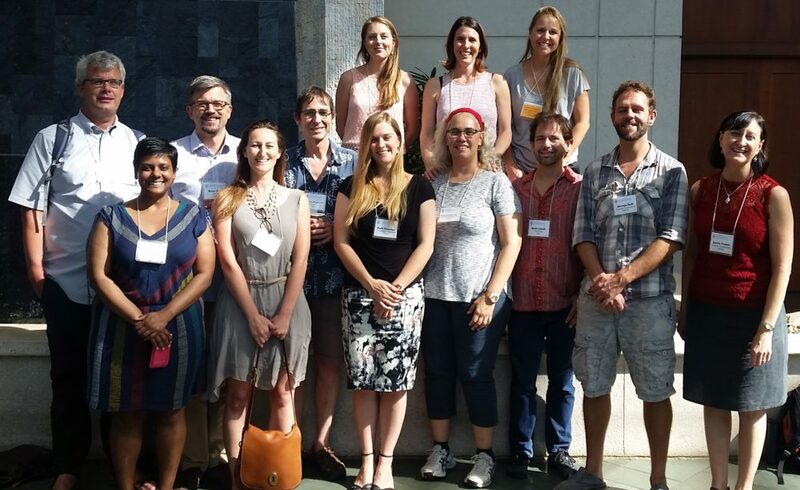 Members, current and past, of the Marine Palaeoecology Lab were a formidable presence at the ISRS 13th International Coral Reef Symposium in Honolulu, Hawaii this June giving talks or presenting posters on their current and continuing research. They joined over 2500 coral reef scientists, policy makers and managers from around 97 different nations presenting the latest research findings, case histories and management activities, and to discuss the application of scientific knowledge to achieving coral reef sustainability. 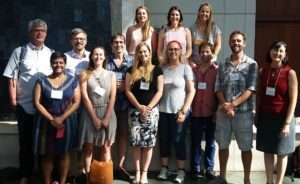 The Symposium’s main theme was Bridging Science to Policy and the lab’s Professor John Pandolfi delved into the issue of improving scientific input into coral reef management and policy. With his main points being the need to: 1) prioritise research questions, ensuring that we are asking the right questions, and not ignore important ones; 2) get the message right by incorporating nuance into public and policy debates; 3) expand temporal perspectives to avoid misguided policies subject to shifted ecological baselines; 4) embrace and report uncertainty; 5) provide insight on potential biases; and 6) acknowledge the simultaneous effects of multiple stressors and the geographical variation in response to stressors. The lab’s own Kerrie Fraser (PhD candidate) also works in marine policy and presented her findings for putting marine policy into practice for the Great Barrier Reef. Specifically, analysing how the management of Australian marine protected areas (MPAs) is undertaken when applying a vast range of policy, agreements and legislation, and how the policy implementation process is actually achieved. While such a large gathering can become confounding at times, it also provides an opportunity to meet up with old faces, develop new collaborations and immerse yourself in the global research being carried out on coral reefs. We all walk away knowing that coral reefs today are subjected to numerous local and global impacts, but with increased efforts and cross-collaborations, as well as data sharing and impartial representation of our work we can hope to have a greater influence on the conservation of these valuable systems that drive us to do what we do each and every day. For further information on the Symposium and to review the abstracts of other lab members please see the ICRS Website.